The sheet music for tin whistle is included.Written by John B. Keane. Recorded by Johnny McEvoy, The Dubliners, The Wolfe Tones and The Irish Rovers. Guitar Chords By Marc Fahrbach. Another first for this site and thanks to Marc for the Chords. 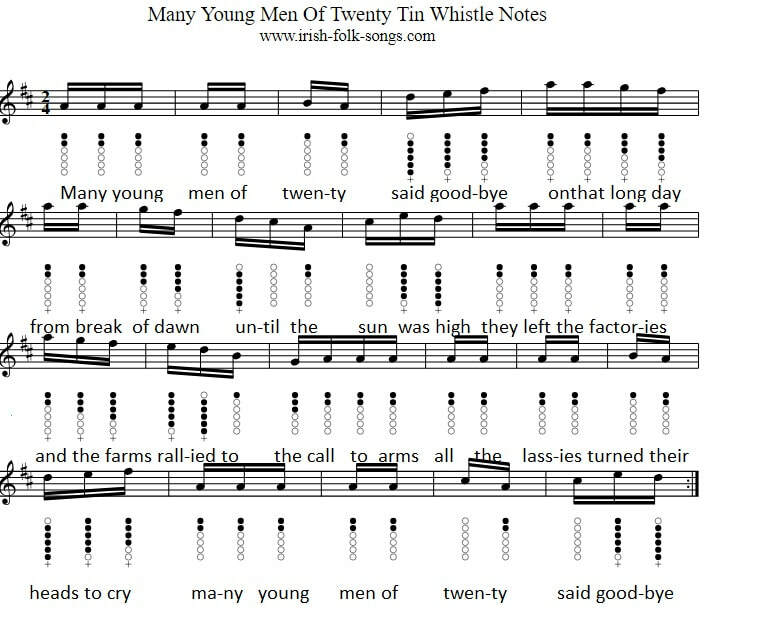 Many Young Men Of Twenty Lyrics And chords in the key of G.